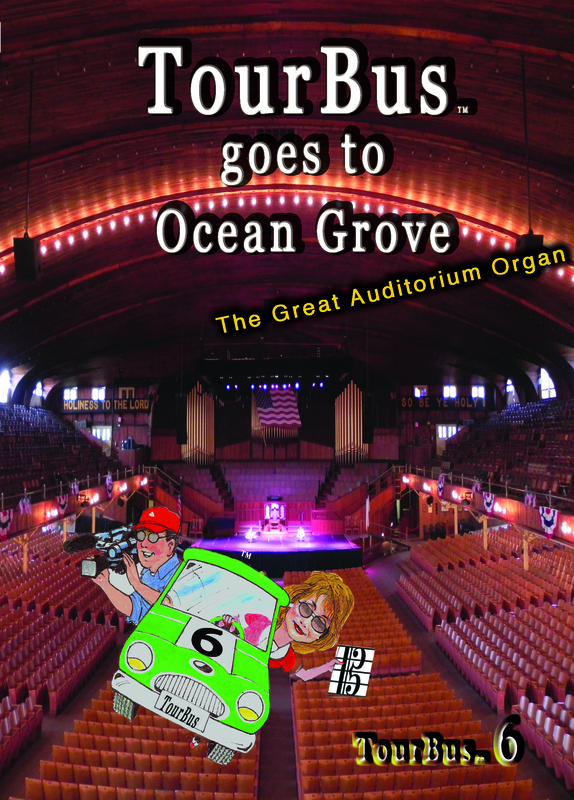 Join Dr. Carol Williams on a tour of the great Ocean Grove Auditorium Organ in New Jersey, USA. * Enjoy Dr. Gordon Turk, the Great Meeting Hall Auditorium Organist and of international acclaim, demonstrates this vast organ with 5 manuals, 176 ranks and 10,823 pipes. * John Shaw, Organ Curator, speaks of the organ history and then takes us into the massive concrete chambers revealing special designs by organ builder Robert Hope-Jones. * Learn about the fascinating and picturesque Ocean Grove Victorian beach front community. 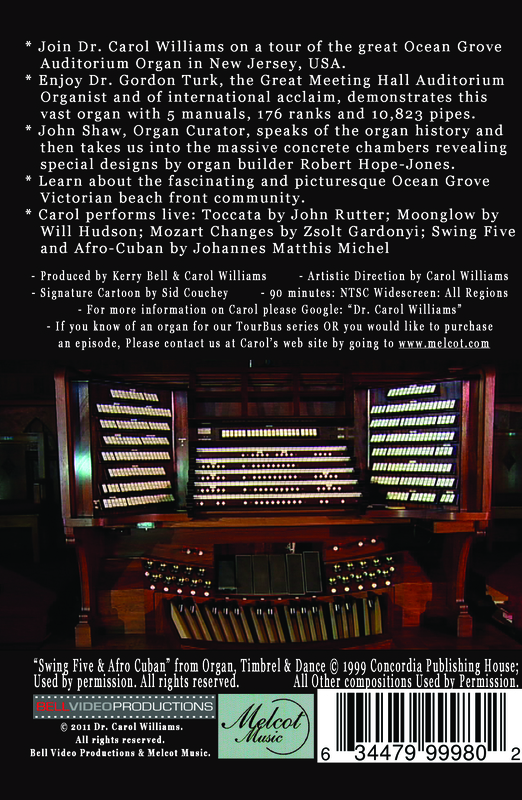 * Watch Carol Williams perform live "in concert".